First, the bad news. I stayed in the apartment all day with a cold. Who knows, maybe I could have gone shopping with Melinda and the girls, but I just didn’t have the energy. I basically slept all day, which means with jet lag factored in, I’ll probably be awake all night. I woke up at 3am last night and watched the end of a couple of hockey games. Now the other bad news. The bread we bought at the gluten free restaurant/bakery yesterday was really bad. Chloe was so stoked in advance. 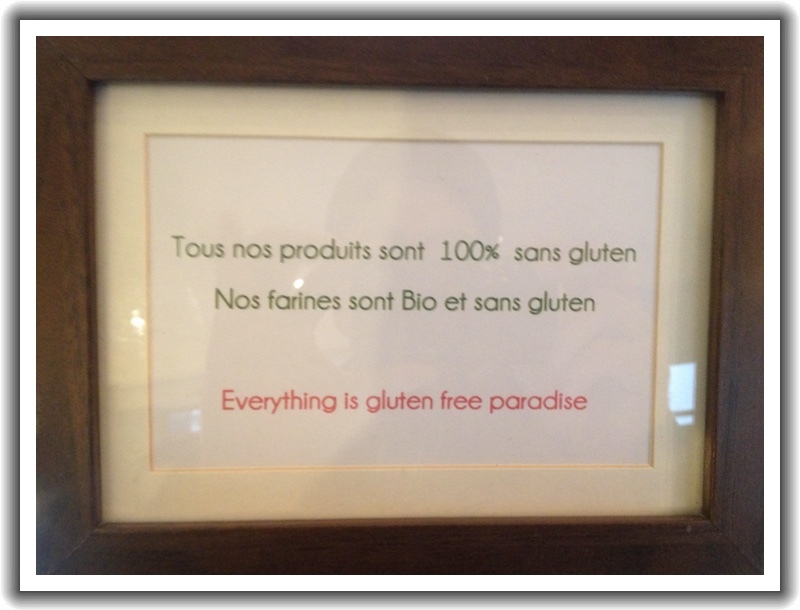 I mean, here we are in Paris and there is a bakery that prepares nothing but gluten free foods? It’s got to be good, right? She was so much looking forward to eating bread made in France that she had convinced herself that it was going to be better than a regular baguette. What a letdown. Not even our favorite French butter could salvage it. I found the bread in the garbage this morning (at 3am when I was searching for a snack to go with my hockey games). I imagined it made a thud when dropped in the bottom of the pail, much like a sucker (a type of fish) did in the late 1960’s in central Nebraska (that reference is for my brothers and parents). Now the bakery isn’t all bad news. 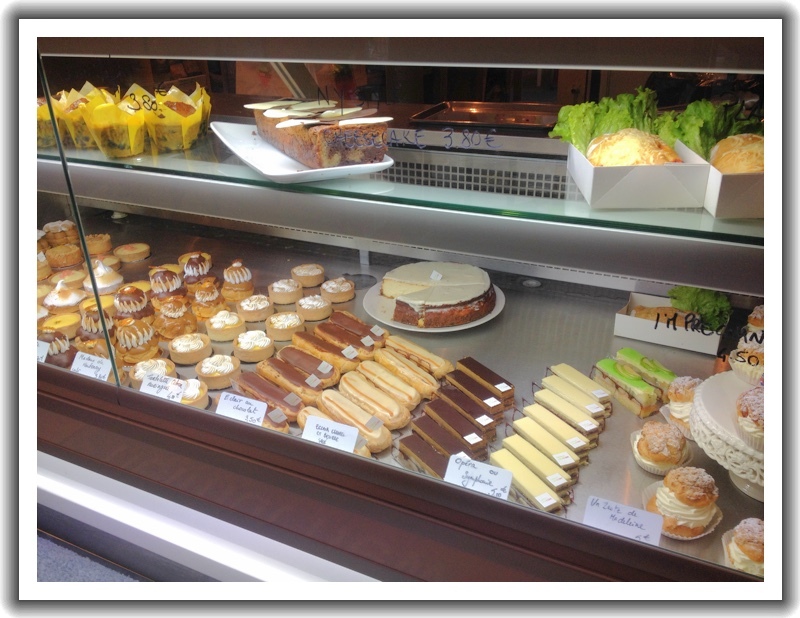 They had some very tasty baked goods that we ate while we were there. 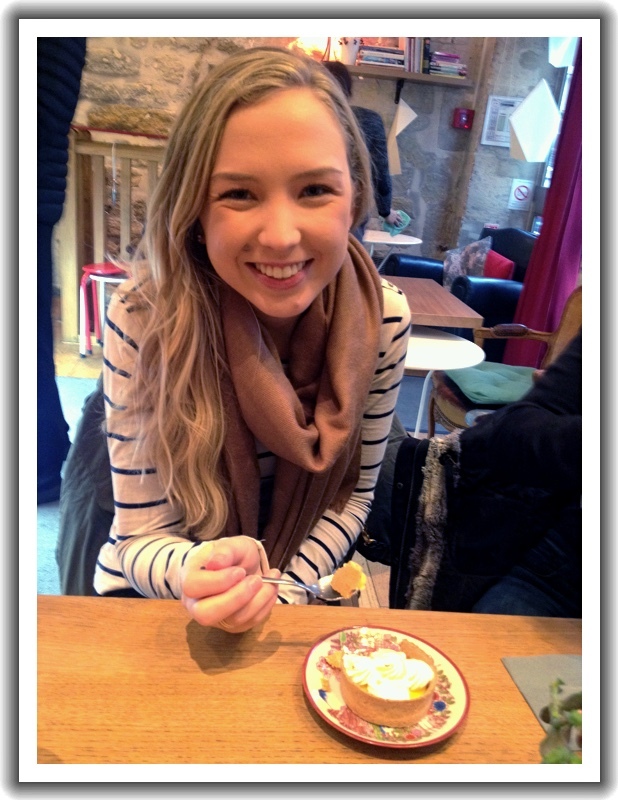 You can see the smile on Chloe’s face as she eats this lemon tart. And Ella had a molten chocolate cake that I had the pleasure of finishing for her. But what Chloe really wants is some bread… Back to the drawing board.